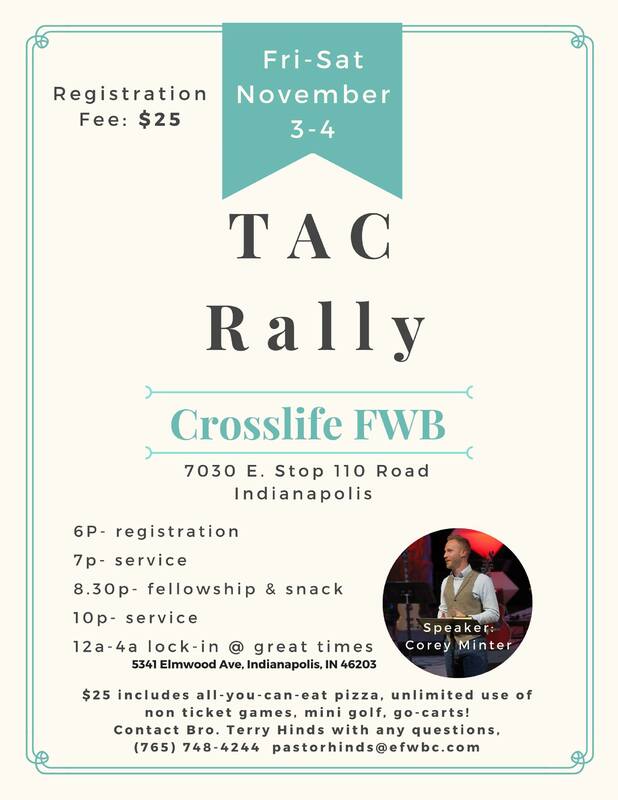 We would love to invite your teens to the Fall TAC Rally. Registration starts at 6 pm at CrossLife Free Will Baptist Church. Service will follow at 7 pm. There will also be a lock-in at Great Times (http://greatimesfunpark.com/) in Indy from 12-4 am. $25 includes all you can eat pizza, unlimited use of non-ticket games, mini golf & Go-Karts! The Fall TAC Rally will be held in Newcastle on Friday November 7th. Corey Penn will be speaking. More details to come.